For a chance to win dinner tickets to the January 26th event at the Freeport Community Center, click here to LIKE our Facebook page. 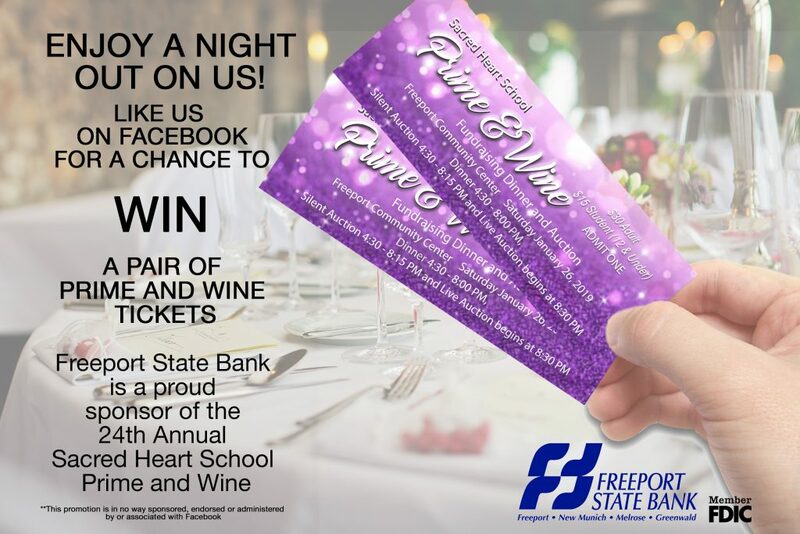 Freeport State Bank has been a proud supporter of the Prime and Wine Raffle for 24 years. You can purchase raffle chances at the school office or from a SHS parent. Raffle winners are announced at the event and you need not be present to win.